This red single sided porcelain sign shows a white horse facing towards the left. The horse has two front feet off the ground. 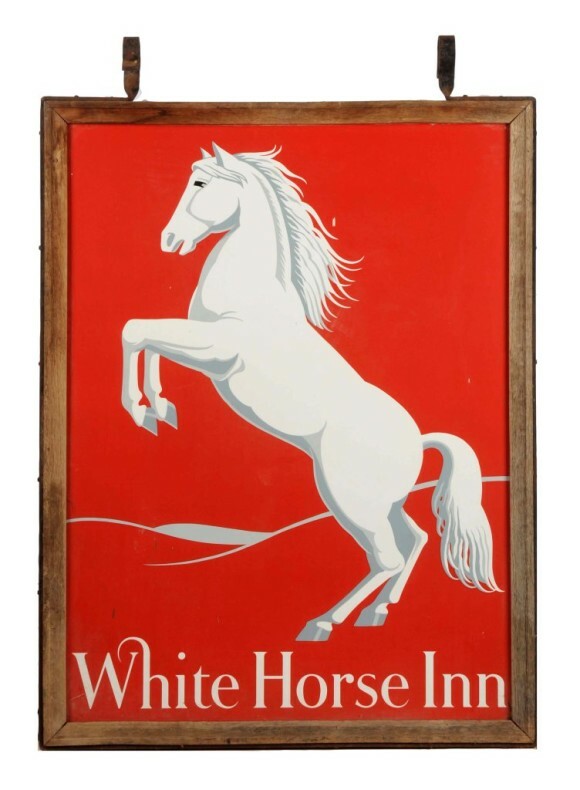 The sign’s text reads “White Horse Inn.” The sign is 54″ by 39″.